It’s raining today in Southern California, so it’s not just you East Coasters with your bomb cyclone and subzero temps who are having weather difficulties. We’re suffering too. Of course, this is actually good news in our case, since this has been one of the driest years on record up to now. 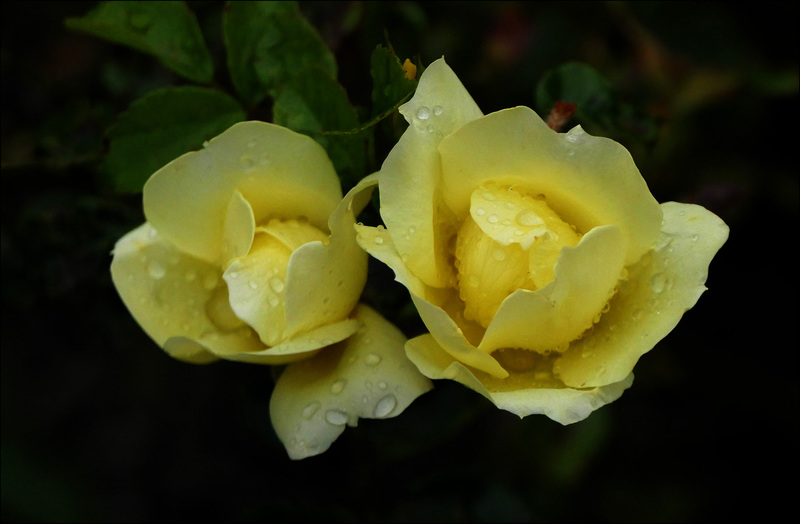 To celebrate, here’s a picture of a lovely yellow rose following a rain shower. I took it at the Garden of the Senses in Sneem, the nearest big city (population approximately 557) to our house in Ireland. I’m not sure why it’s called that. It’s nice, but it’s a pretty ordinary garden, appealing to the usual senses that every garden appeals to. I guess it’s marketing hype, Ireland style.